(4) Great for DIY necklace, bracelet and more! Item included: 100 x Nature Sea Conches. 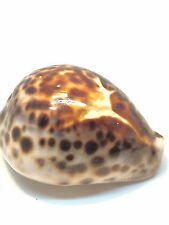 1) 100% new and good quality nature sea shell. Material: Nature shell. 3) The size and shape will not be exactly uniform because of the nature material. Material: natural conch. 1 x Conch Shell. Beautiful decoration. Detail Image. Canada, United Kingdom, Austrilia, France, Germany, Spain, Ireland, Italy, Others. Cypraecassis testiculus senegalica. Shallow wather giant form. Outstanding giant! 71.9 mm F /Gem. 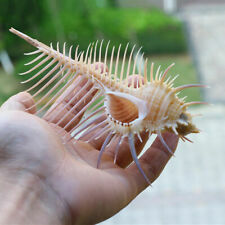 Hawaiian Pecten langfordi, 27.52mm X 26.63mm F++ Nice Pale colors! Live collected on the island of Oahu. Full collection and locality data will be included with this shell. Photos are taken outdoors in full sun. Voluta musica carneolata. Don't miss this chance! GOLD FORM! Very rare. F /Gem 69.9 mm. Margarita Island. Fantastic color! I've never seen a carneolate with a more stunning color. Growth-line clearly visible but doesnt really retract. see photos. Found on the island of Oahu. Full collection and locality data will be included with this shell. This shell is large and heavy. Photos are taken outdoors in full sun. A genus count of the lots in this tray is. 15 x Calthalotia, 20 x Jujubinus, 11 x Thalotia, 5 x Leiopyrga, 1 x Ethminolia, 80 x Clanculus, 6 x Bankivia, 51 x Gibbula, 21 x Monodonta, 5 x Diloma, & 3 x Notogibbula. A genus count of the lots in this tray is. 50 x Trochus, 10 x Tectus, 2 x Rubitrochus, & 1 x Priotrochus. 鹤田河副树栖蜗牛 Amphidromus noriokawasoei Thach, 2017 Vietnam.Khanh Hoa Province,Collected on coffee trees by local people. Very selected, A set, including three different colored lovely shells. About 32.8 - 33.9 mm. 50 x starfish (starfish only, other accessories are not included). 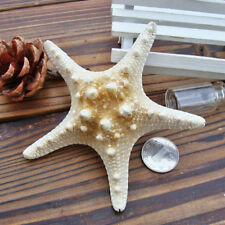 Natural mini starfish, natural size is not uniform but very nice. Material: Shell. I send goods within 12 hours. Usually I will respond in 24 hours. (Material: Natural conch. 1 x Natural Conch （ Color Random). - Natural sea products. Natural defects are hard to avoid. You can put them next to the TV cabinet, the windows, the bathtubs, and so on. Quantity: About 100g. Hope you can understand! Note:the picture shown is a representation of the item,you'll receive from the available lot. Picture may appear larger on your screen. Color may vary slightly due to the color setting of each individual monitor. Lithopoma phoebium. Super GIANT! Fantastic shell very colorful. We seldom see big gold phoebium. Exeptional gold form! 65.9 mm F . Very spiny one with perfect clear pattern. Hard to get on this condition. A genus count of the lots in this tray is. 47 x Trochus & 16 x Tectus. Material: Natural Starfish. 2pcs Star Shells. Color: as the picture show. (Lot 502) Boulder Opal unpolished with beautiful opal colours and patterns. Material:Natural Starfish. Otherwise deal is final. >>>Italy and Brazil (because of strict custom inspection). All products are quality checked. Materil:Natural Seashell. Weight approx 101grams. 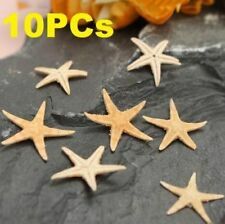 20Pcs New Cute Small Mini Starfish Sea Star Shell Beach Deco Craft DIY Making. 20 x starfish (starfish only, other accessories are not included). Natural mini starfish, natural size is not uniform but very nice. Gloripallium maculosum. VERY RARE SPECIES! 52.1 mm Gem. 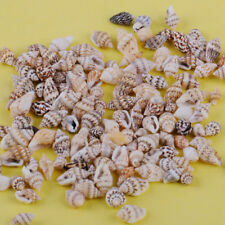 About 100g Mix Shells (95G /-5g). Beautiful Natural Beach Mixed Sea-Shells. 1 x Natural Sea Urchin Shell. Beautiful decoration. USA, Canada, United Kingdom, Austrilia, France, Germany, Spain, Ireland, Italy, Others. Canada, United Kingdom, Austrilia, France, Germany, Spain, Ireland, Italy, Others. Change your aquarium into a beautiful scenery. It is great to decorate your aquarium. Length: 5cm. Material: Shell. The color of shells is natural color. It's perfect for your collection. We will do our best to help you to resolve your problems. 【 Material 】 Natural Conch. 1 PCS Conch. 【 Color 】 Pink. Material: Natural Seashells. Color: Colorful. Note :the picture shown is a representation of the item,you'll receive from the available lot. Picture may appear larger on your screen. Color may vary slightly due to the color setting of each individual monitor. Found on the island of Oahu. Full collection and locality data will be included with this shell. Photos are taken outdoors in full sun. Shells typical of Bao Loc area, Vietnam, rare. 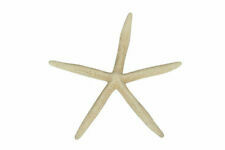 Natural mini starfish, natural size is not uniform but very nice. Quantity: 50pcs. Material: Natural. Due to the light and screen difference, the item's color may be slightly different from the pictures. 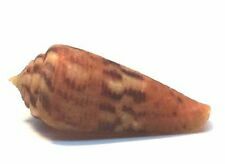 Conus bengalensis , Kerala, Southwest India, F , 100mm, mark, nice color and pattern. usually less than SGD0.50 each. 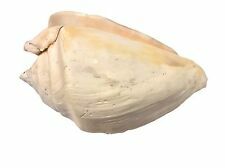 Large Naturally Coloured Real Abalone Shell (Rough Exterior) Sea Shell Smudging Package:1Pc/lot Materil:Natural Seashell Weight approx 130-160grams Size approx 12-14cm /// 4.7-5.5inch length The Shell， Are Natural Products So Each Size And Color Is Different there are a little of flaws ，please don't mind. if you mind ，please don't purchase if you have any questions,please contract the customer service. Laevicardium attenuatum , Tamilnadu, Southeast India, F /F , 59mm, nice color and pattern. usually less than SGD0.50 each. 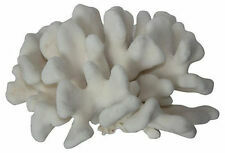 Natural Pearly Screw Nautilus Conch Shells Coral Collectible Ornaments Sea Snail. 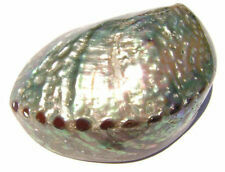 Details: Abalone Shell Decoration, multihole, 90x120x39mm, Hole:Approx 3-9mm, Sold By PC. Color: As picture. Item Pictures.